Our best Christmas concert yet! A delightful, eclectic, Christmas, community, musical marvellous evening. 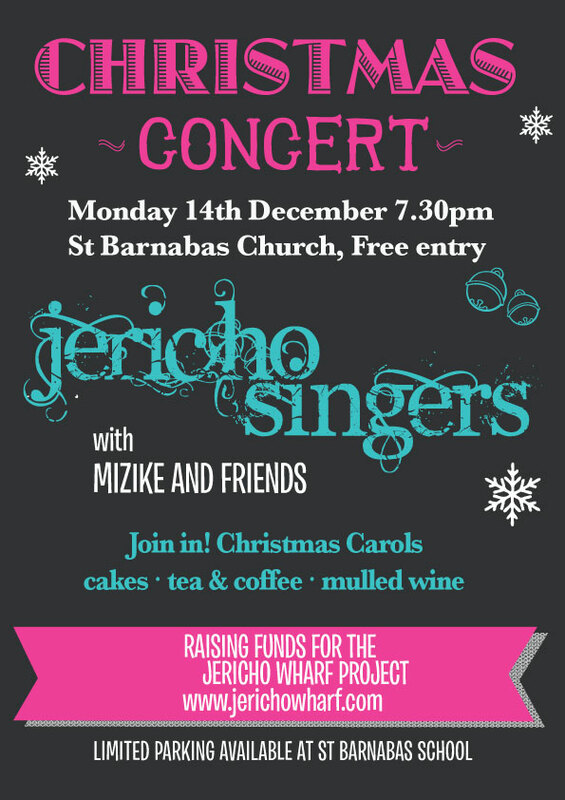 Over 300 of you lovely folk joined us, the church was packed standing room only, lots of mulled wine flowing and delicious treats baked by Jericho Singers. Our programme included some fantastic new material we learned this year. A healing chant, The River of Jericho Gospel song, Fairytale of New York, Goodnight Sweetheart and many more. Highlights included Jeff, Ray, Matt and Steve singing in perfect harmony, Matt's brilliant solo in Fairytale of New York, all the Jericho singers for exellent timing, dynamics, and expression, our friends Miguel, Liat and Anna. It was a pleasure to conduct you all. A huge thanks to Jacqui for teaching us Mama Dit, one of the most fun songs to learn in rehearsal we've ever done.